Interior remodeling is a great opportunity to redefine your space. Improve the appearance and style of your favorite rooms with the help of Gold River Flooring Gallery. We are your source for waterproof flooring in Rocklin, CA. Whether you are planning a project for a single room or your entire property, our team is here to help. Explore your options today, and transform your property. At our showroom, you never have to make compromises between form and function. Our company has partnered with the well-known brands and manufacturers in the industry to offer a robust selection of waterproof vinyl flooring, laminate, and carpet. Our waterproof flooring section offers the options you want at competitive prices. From common areas to kitchens and bathrooms, we have you covered. Have total confidence in your investment. Our showroom representatives are here to help. We stay up-to-date with the latest developments in flooring and interior design. If you have questions or concerns related to your remodeling project, we have answers. We’ll work with you to find flooring that meets your needs. Order through us, and you can take advantage of a seamless approach to flooring. Waterproof Laminate: A smart choice for the value-oriented homeowner, laminate offers strength and visual appeal that holds against everyday foot traffic. Laminate has a comfortable underfoot feeling. It also installs quickly so that you can enjoy your new floors as soon as possible. Waterproof Vinyl: For flooring with robust design potential and no-nonsense ruggedness, look no further than waterproof vinyl flooring. This option is also available in the appearance of materials like hardwood and ceramic. Vinyl is a good investment for kitchens, bathrooms, and common areas. Waterproof Carpet: Enjoy the look and texture of carpet without worrying about stains! Thanks to specialized weave patterns and dyes, waterproof carpet looks great and lasts long. Many spills and stains go away with water and a cloth. We carry carpet in different styles and colors. Ensure your new investment looks great and remains sturdy. Our showroom can coordinate professional waterproof flooring installation for you. Save time and energy, and let us handle the work. Our technicians are thoroughly trained and experienced. Quality installation will make your flooring look beautiful and last longer. We cover all the details, so your project goes as smoothly as possible. Our technicians are licensed, bonded, and insured. 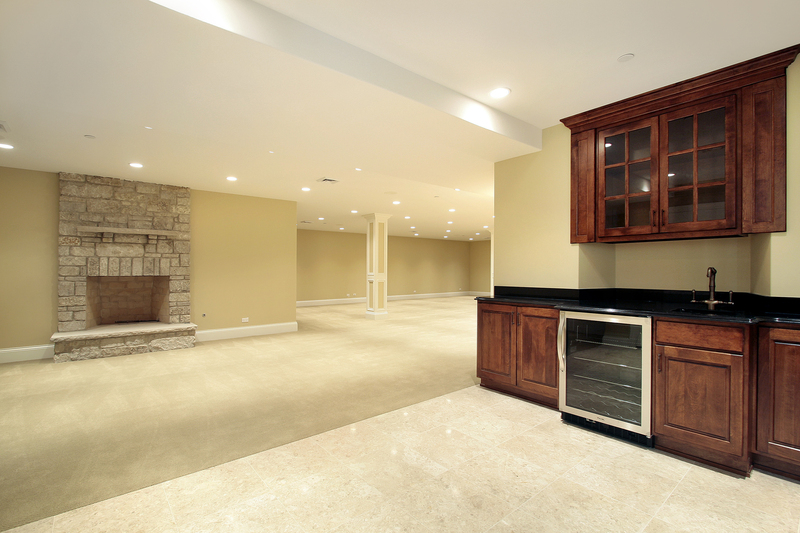 With their attention to detail and commitment to quality, you will get floors that last. Contact us to learn more about our selection of waterproof flooring. Our showroom proudly serves property owners in Rocklin, CA, including Lincoln, Loomis, Roseville, Granite Bay, and the surrounding communities.